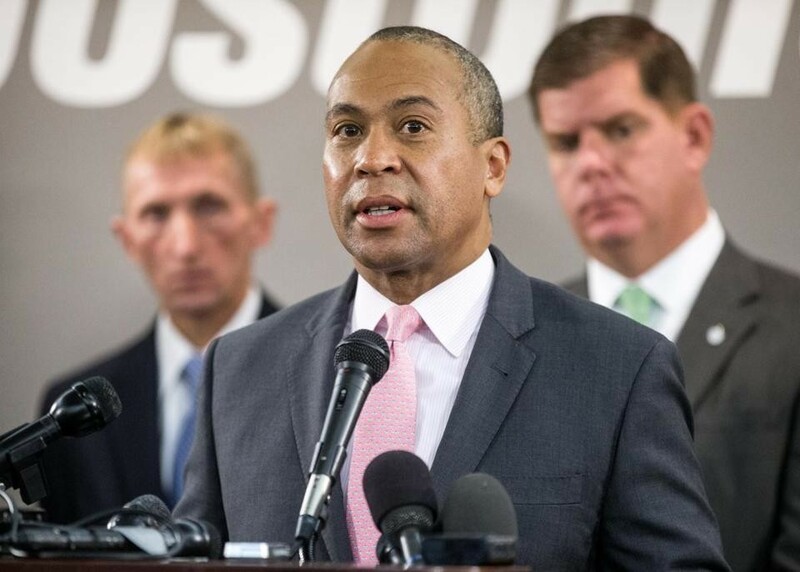 As he prepares to leave office, Governor Deval Patrick is quietly transferring 500 of his managers into the state public employee union, a move that will qualify them for a series of 3 percent raises and insulate them from firing when the next governor takes over. The change will automatically convert 15 percent of the 3,350 executive branch managers into members of the National Association of Government Employees, which has been fighting for the change for years, arguing the employees were “improperly classified” as managers. While smaller clusters of management positions have been converted into union positions in the past, this is the largest sweep into the union in at least two decades, according to administration and union officials. Rolling the managers into the 22,000-member union will effectively protect them from any house-cleaning that might occur when the next governor takes office in January — a particular likelihood if Republican Charlie Baker were to take over after eight years of Democratic leadership. Union employees generally have to be removed “for cause,” while managers serve at will. Turning the managers into union employees will also make them eligible for 3 percent raises in January and October of 2015 and July 2016. Those were negotiated by the union and the Patrick administration earlier this year. Patrick administration officials said the cost to the state would be “less than $500,000” and would not require additional appropriations from the Legislature. The Baker campaign said the candidate was not available for comment Friday. Democratic candidate Martha Coakley, who has received support from the employees union, said through a spokeswoman that she respected the agreement that has been hammered out between Patrick and the union. Katie Hammer, Patrick’s assistant secretary for administration, said the transfer was prompted when the union approached the administration about two years ago and argued that a portion of the workforce should not have been classified as managers, based on their work responsibilities. David J. Holway, president of the union, said he was grateful for the change, which he called long overdue. He said he had been lobbying to convert the managers into union employees since Mitt Romney was governor a decade ago and ramped up his campaign about two years ago. Holway and Patrick administration officials said the change was not motivated by a desire to protect Patrick loyalists from removal by the next governor. There are 12 levels of managers within state government, and the change will affect those in the lower and middle ranks, levels one to five. The Patrick administration said those include executive assistants, office managers, accounts payable managers, office planners, and procurement managers. He said that, unlike commissioners and department heads, those managers are not usually ousted when a new governor takes over and installs a new team. During the Weld administration in the 1990s, about 40 managers who handled sensitive legal issues were added to the state employee union, according to Patrick administration officials. Another group of nonunion clerks and program managers were also added to the union. But Patrick’s transfer is of a much larger scale. Eric Kriss, who was secretary of administration and finance under Romney, was critical of the decision. “What this will do is continue to reduce, as has been done since the 1960s, any layer of what you would call managers,” he said. And once managers are moved into the union, “removing anybody is virtually impossible,” he said. The National Association of Government Employees has worked with the Patrick administration for years on this issue and I am happy to see movement on the matter. The fact is that a large number of these ‘managers’ were misclassified and a change in policy was needed to reflect their work responsibilities.